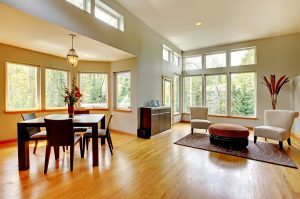 Homeowners have myriad reasons for why they want new windows. For some, it’s simply an aesthetic choice, as their current windows have faded or scratched-up exteriors. For others, they want to improve their home’s energy efficiency and their old windows just do not properly insulate their residence. Some homeowners are mostly interested in windows that are easier to clean. No matter what your reason for wanting a replacement window installation in Fort Walton Beach, Florida, you can count on Majors Home Improvement for a job well done. Best of all, when you work with Majors on a replacement window project, you’ll be pleased to know that we will back your investment with a double lifetime warranty covering the materials and the workmanship. To schedule a complimentary, no-obligation consultation with our team, contact Majors Home Improvement today and let’s get started. We serve homeowners in Fort Walton Beach, FL, and throughout the area.